Many people enjoy hiking because it brings them close to nature. They explore the different beauties of nature and come in contact with different types of animals, plants, hills etc. Hiking is an amazing experience. 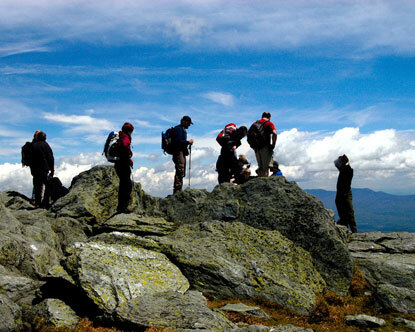 Hiking is also like an exercise which contributes in many ways to the physical health and strength of a person. Natural walking provides stamina for daily life work and pollution free air improves and refreshes the mind. Hiking is a good source of increasing knowledge because many places are visited where a person has never ventured before. It is also safe and easy to walk through the proper defined ways. Hiking is not really a tough job. Only few things are required like few clothes, hiking boots and general outdoor equipment. There is no use of high tech equipments. Only walking is required which every one learns from the early age of one. Hiking provides an opportunity of being away from work and stress. One can have great experiences during the journey. This will definitely give pleasure and a refreshing start for the next task. Hiking is one of the best ways to relax.